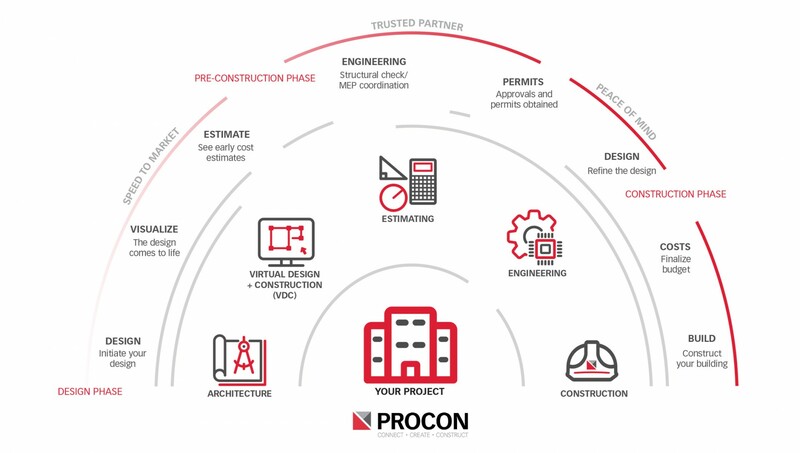 A design and construction delivery system which results in a seamless, speedy and cost-effective finished project – providing you with peace of mind. solution is just down the hall. PROCON is your single point of responsibility. 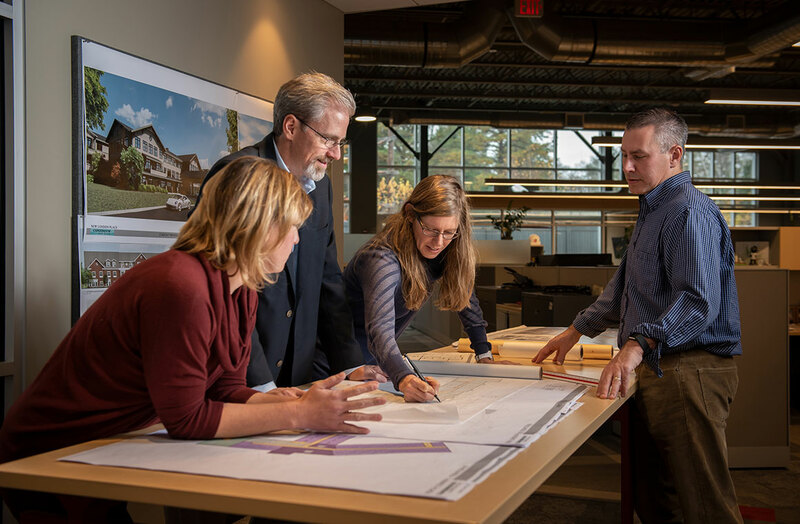 Our team works together from the beginning, providing unified project recommendations to fit your schedule and budget. Any changes are addressed by the entire team, leading to collaborative problem-solving and innovative solutions. All of the vital information about your project is collected and used to produce an initial rendering of the proposed design, so that you can make important decisions. 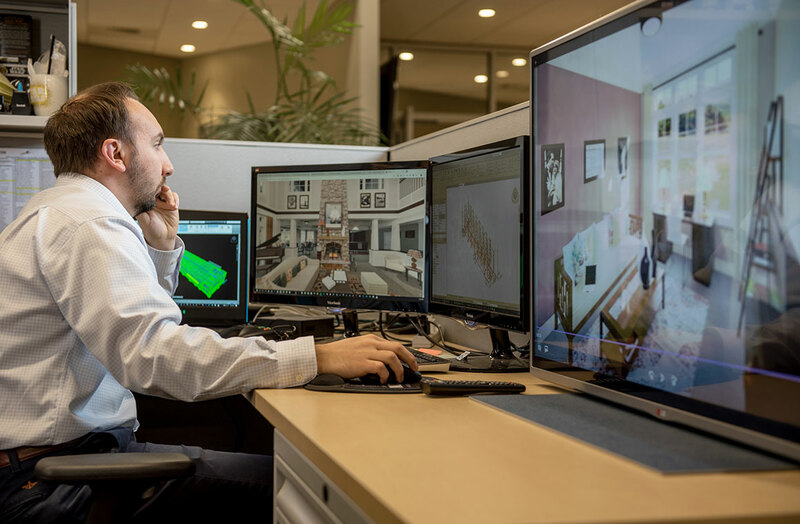 Our VDC team produces a realistic 360-degree interactive design with live walkthroughs of the rendered model. This allows you to see and make changes in materials and colors in real time. We identify costs, constructibility, scheduling impacts and lay the groundwork for your project’s ultimate success before any work begins. 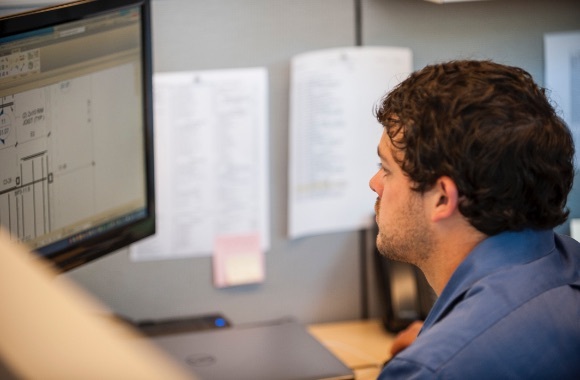 Your company benefits from the combined skills of our in-house engineering team. They work together to confirm that all the necessary civil, structural and MEP engineering requirements are met to ensure the most effective project outcomes. 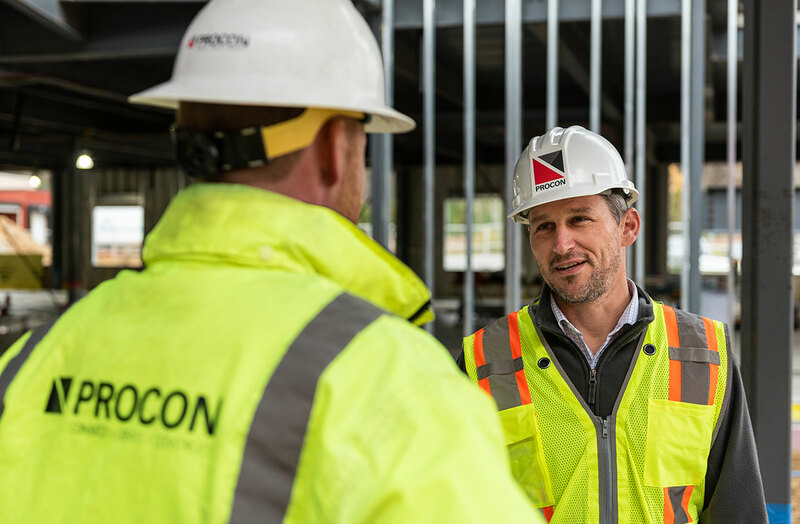 Our construction management team works to anticipate variables during construction that could affect your project’s success. 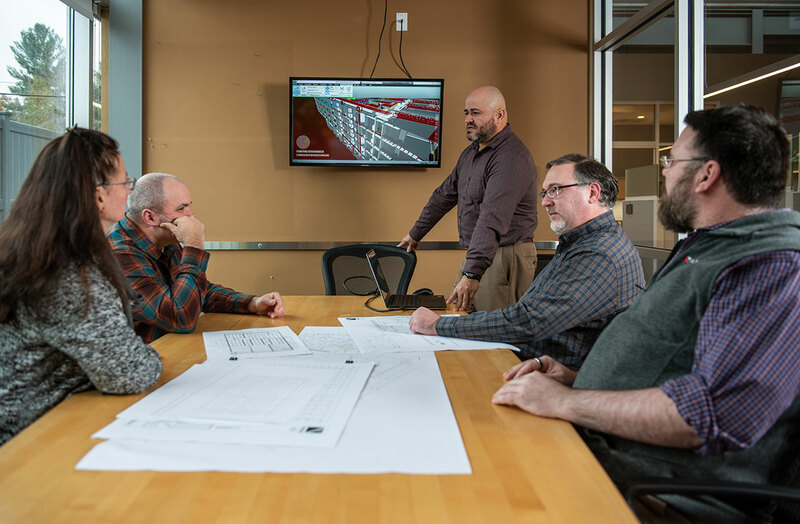 Weekly meetings, project management software (Procore), and team collaboration guarantees an exceptional project completed efficiently and cost-effectively.